The Foundation’s first major project was to create a recreational trail along the existing but unused bed of the Lehigh Valley Railroad that runs through the town of Henrietta, between Rush and Brighton. Through the industrious work of countless volunteers; many generous donations of land and rights of way; and federal, state, town and private grants; the trail has become a reality. 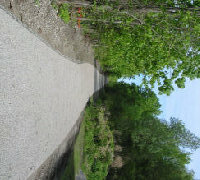 Now nearly complete, the Lehigh Valley Trail is enjoyed by hikers, runners, skiers, bicyclists, birders, and families out for a relaxing and scenic stroll. We broke ground in the summer of 2004. Such ambitious projects take both time and collaboration. Members of our hard-working team include the Town of Henrietta’s Highway Department, Parks and Recreation Department, and Conservation Board; the Monroe County Department of Transportation; the Genesee Transportation Council; the Towns of Rush and Brighton; the Rotary Club; the Boy Scouts of America; and many volunteers.Now, the beautifully groomed trail is laid with stone dust and is safe from traffic. It offers boundless opportunities to view and hear wildlife one might not encounter in our more populated neighborhoods. In addition, it provides a quiet spot for relaxation or exercise and takes you through the undeveloped center of Henrietta. This safe and well-maintained trail is one of Henrietta’s best-kept secrets, but we hope to make it a familiar destination. The Lehigh Valley Trail is a gateway to other scenic trails throughout Western New York, including the Erie Canal Towpath in Brighton, the Lehigh Valley Railroad’s Black Diamond Trail in Mendon and Rush, and the Genesee Valley Greenway west of the Genesee River. In the near future, the trail will connect, uninterrupted, with trails that lead to Albany, Buffalo, and the Southern Tier. 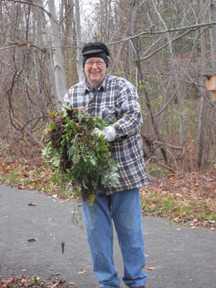 Throughout the year, volunteers patrol and maintain the trail to keep it safe and clean for public use. In addition, we hold periodic Clean-Up Days at which the public and foundation members join together to keep the trail in top condition. The Henrietta Foundation owns 22 acres of wetlands and woodlands adjacent to the Lehigh Valley Trail thanks to the generosity of a number of supportive landowners. We continue to work with landowners to provide conservation easements to preserve the natural woodlands along the trail’s edge. These donations of land and easements make it possible for the trail to remain quiet, natural, and secluded from the intrusion of development while creating a tax deduction for the landowner. Click here to learn more about donating land to the Foundation. 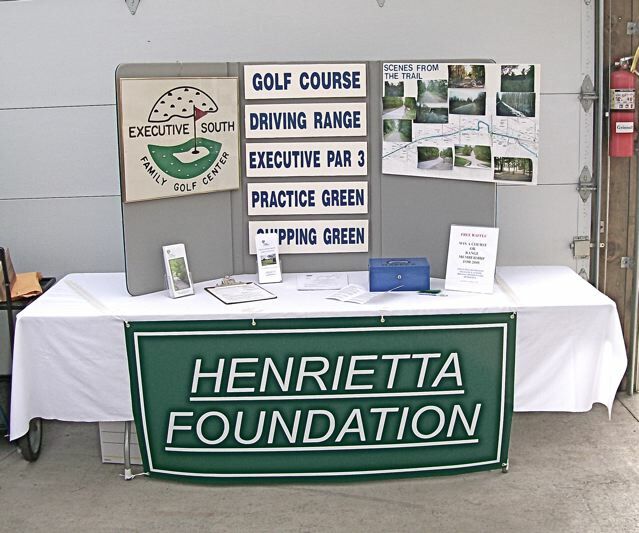 The Henrietta Foundation is committed to teaching the public about environmental, health, and recreational issues concerning the town of Henrietta. We have worked with the Rush-Henrietta School District to help establish wetlands for educational purposes. In addition, we are developing environmental and historical trail trips and information for the public to enjoy. 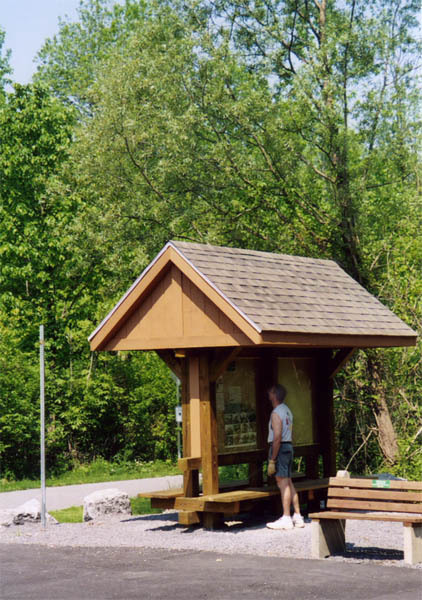 The kiosk at the trail’s parking lot on East Henrietta Road is periodically filled with educational information about the trail, wildlife, and special trail-related events. Brochures about the Foundation are available at the Town Hall, by contacting the Foundation at (585) 359-7071, or e-mailing info@henriettafoundation.org. Maps of the trail can be downloaded from this site; go to our Maps page.